Publisher(s): Vivendi Universal Games, Inc.
You are the Bard, a selfish rogue weary of pointless sub-quests and rat-infested cellars. Through magical song you summon characters to join you in battle-waging attacks, healing your party and taking damage on your behalf. Ready your weapon as you embark on a quest for coin and cleavage. Summon up to 16 creatures to fight, heal, and get crushed by traps. Less A, More I smarter foes, fiercer battles. Advanced Attitude System Your snarky or nice decisions change the course of the game. 07-15-2017 thedotadoctor Box Text A quest for coin and cleavage You are the Bard, a selfish rogue weary of pointless sub-quests and rat-infested cellars. Through magical song you summon characters to join you in battle-waging attacks, healing your party and taking damage on your behalf. Ready your weapon as you embark on a quest for coin and cleavage. Summon up to 16 creatures to fight, heal, and get crushed by traps. Less A, More I smarter foes, fiercer battles. Advanced Attitude System Your snarky or nice decisions change the course of the game. 07-14-2017 thedotadoctor Box Text A quest for coin and cleavage You are the Bard, a selfish rogue weary of pointless sub-quests and rat-infested cellars. Through magical son you summon characters to join you in battle-waging attacks, healing your party and taking damage on your behalf. Ready your weapon as you embark on a quest for coin and cleavage. Summon up to 16 creatures to fight, heal, and get crushed by traps. Less A, More I smarter foes, fiercer battles. Advanced Attitude System Your snarky or nice decisions change the course of the game. 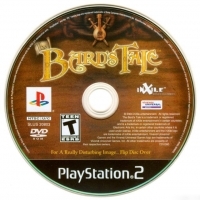 This is a list of VGCollect users who have Bard's Tale, The in their Collection. 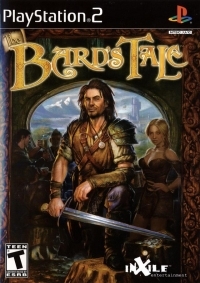 This is a list of VGCollect users who have Bard's Tale, The in their Sell List. 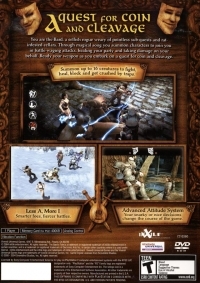 This is a list of VGCollect users who have Bard's Tale, The in their Wish List.